We loved the I See Me books when Adalyn was born for a super cute, personalized book that kids will grow to love. Kids love hearing their own name and Adalyn loves these books now. I chose the cutest book ever from I See Me that I am excited to introduce to my girl who is about to be a big sister called The Super Incredible Big Sister which is personalized with Adalyn's name. She is so, so excited to become a big sister and I know that she will love this book. **Keep reading for a Peanuts and Buttons giveaway! I also chose a book for baby #2 which I can't quite show you yet since I have not revealed his name. I chose the On The Day You Were Born book which is adorable as well. Personalized books make a great gift for a birthday or baby shower. I would recommend these! They also sell lunchboxes, puzzles, coloring books, stickers, growth charts and more! For about the next two seconds, we do not have any kids in diapers! That will all change when baby #2 is born in a month. With a small baby, you go through diapers so quickly, it is crazy. I heard great things about the diapers from Parasol which are thinner and softer than other brands. 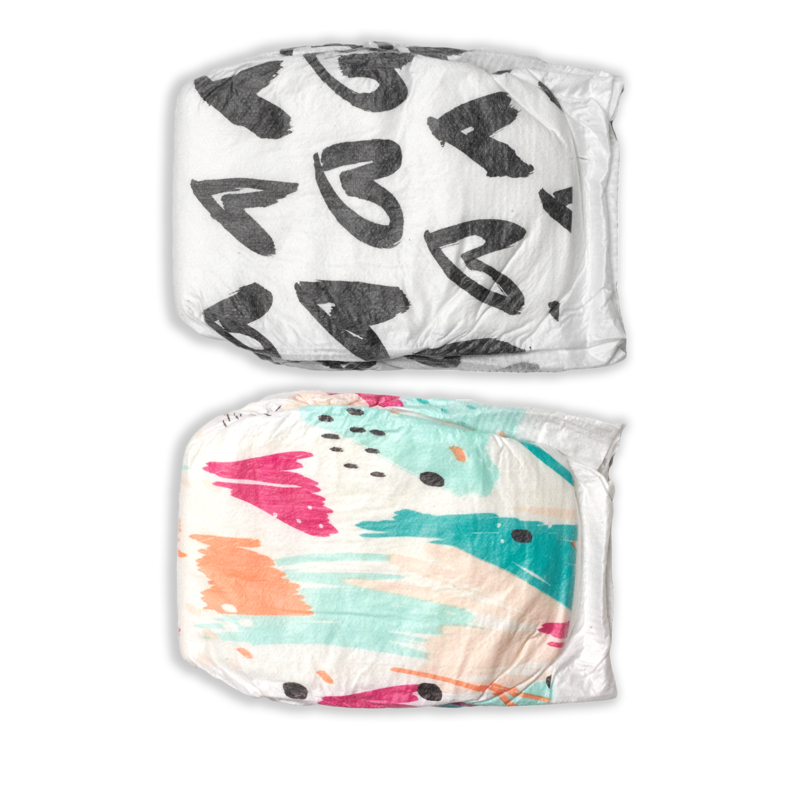 They have super cute colors and patterns such as the diapers seen above. I look forward to trying these. I love browsing Etsy for beautiful prints and love the ones from Peanut and Buttons. For Adalyn, I chose a print that says "Be Strong and Courageous Adalyn" which I just love for her! I bought a shabby chic white frame to put it in and it looks great in her room! For baby #2's room, I chose the cute alphabet nursery art which is 2 8 x 10 prints- one has letters and one has numbers along with animals which is the theme for his room. I am very happy with both prints! The giveaway will be for two prints of your choice from Peanut and Buttons Etsy shop!